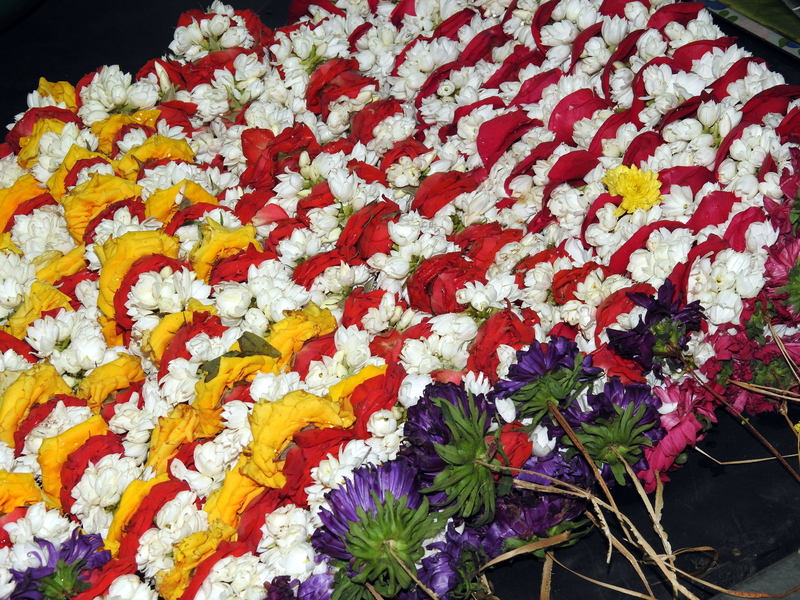 Flowers are an integral part of Indian culture and occupy a very significant place whether during daily worship, festivals or any special occasions or celebrations. 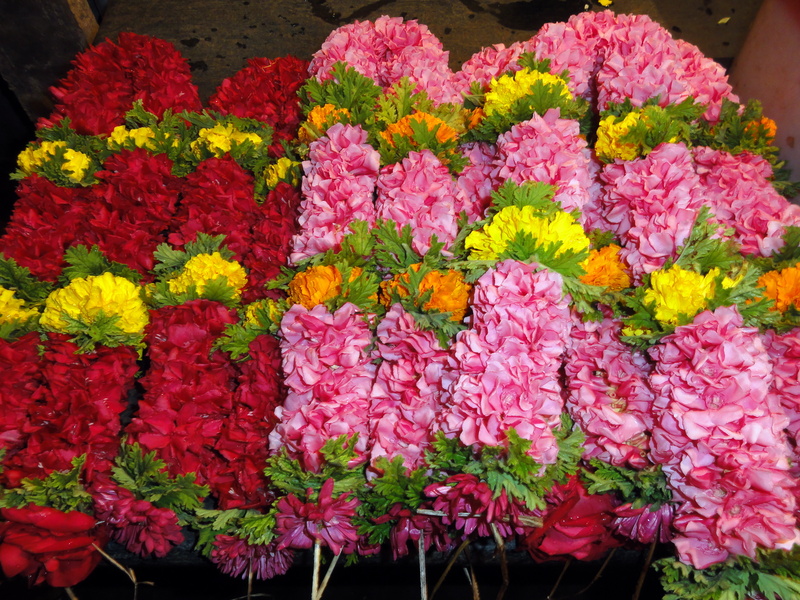 Visiting flower markets in any Indian city can be quite an experience. It is, according to me, a great place to soak in the local culture, customs and craft as well as a great opportunity to witness some of the most exclusive local varieties of flowers. The bustling activity, frenzied buying and selling amidst the cornucopia and amalgamation of unique fragrances is something I enjoy watching whenever I visit a flower market. Interacting with the vendors and learning about the local specialties, notwithstanding their quirks is an experience like none other. 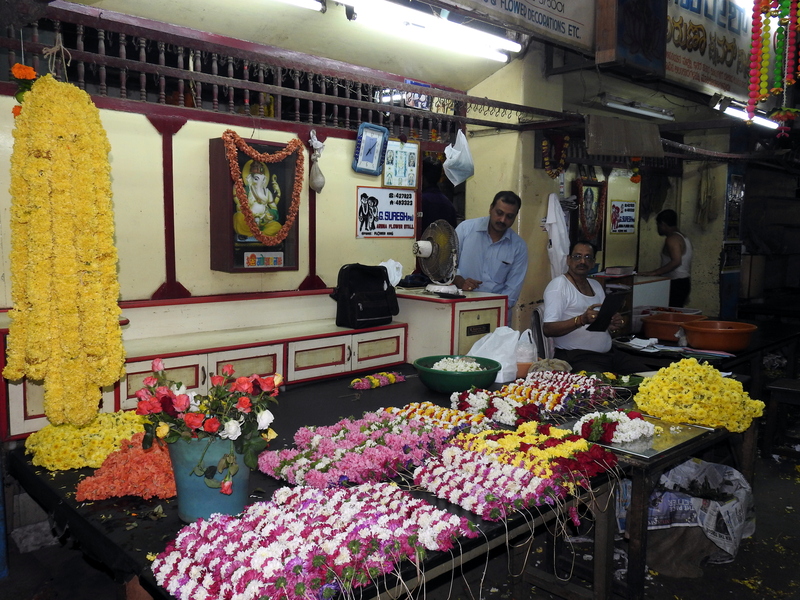 My visit to the Mangalore flower market is one of such wonderful experiences. 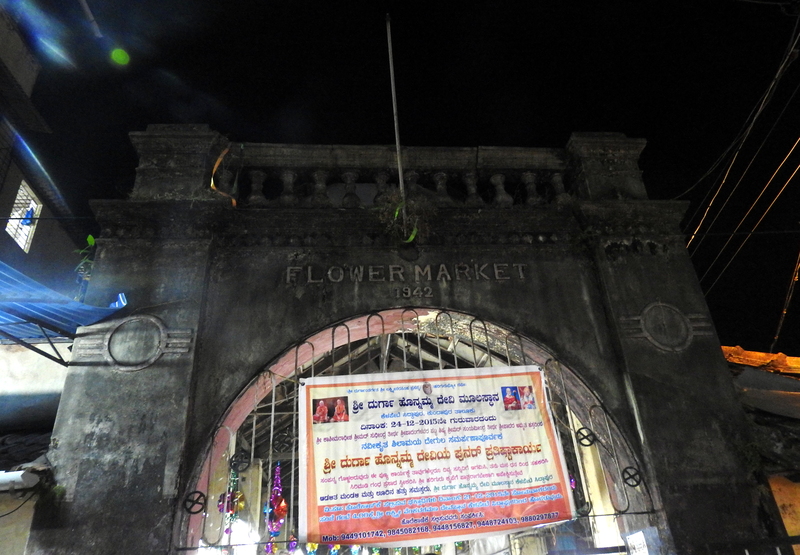 Located right in the middle of the town in Car street, the flower market was established way back in 1942. 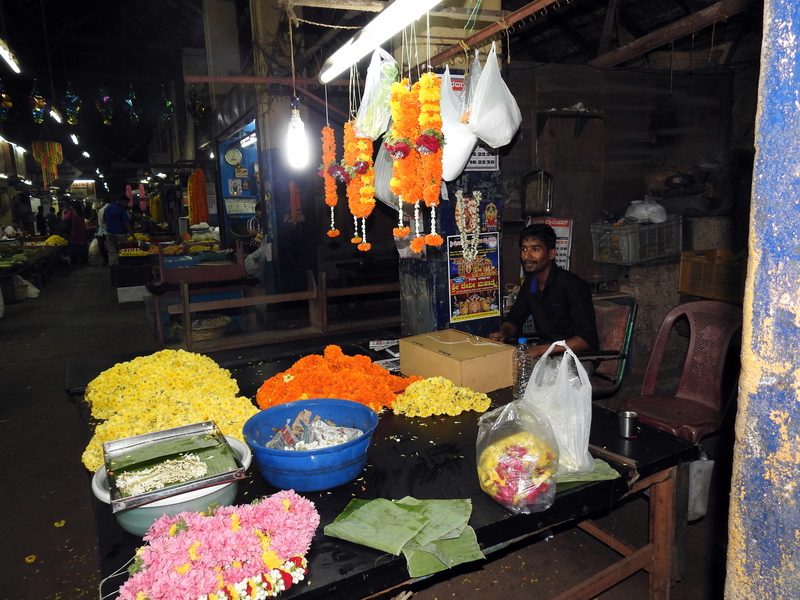 Though, early morning is the best time to visit a flower market, I could make it only in the late evening. It was almost dark and the place was quieter with most of the vendors relaxed and some in preparation for the next day. Nonetheless, I was greeted by a riot of colors and a ‘bouquet’ of sweet smells. The numerous varieties and the creativity of the vendors in mixing them up while meticulously stringing each of them to create myriad color combinations was truly amazing. The flower of the areca nut tree is a local specialty of the region and considered most auspicious as an offering to Lord Ganesha. The flowers or rather the inflorescence is enclosed inside a boat shaped tough sheath which is sold individually as a unit. 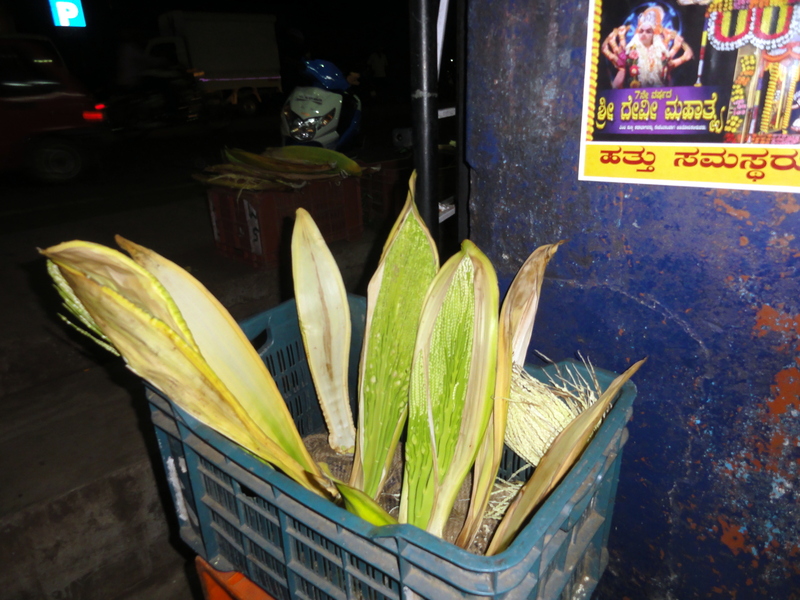 Considering that they are not easily available in Bangalore, I made sure to buy a few as I had plans of visiting a couple of Ganesha temples the next day. 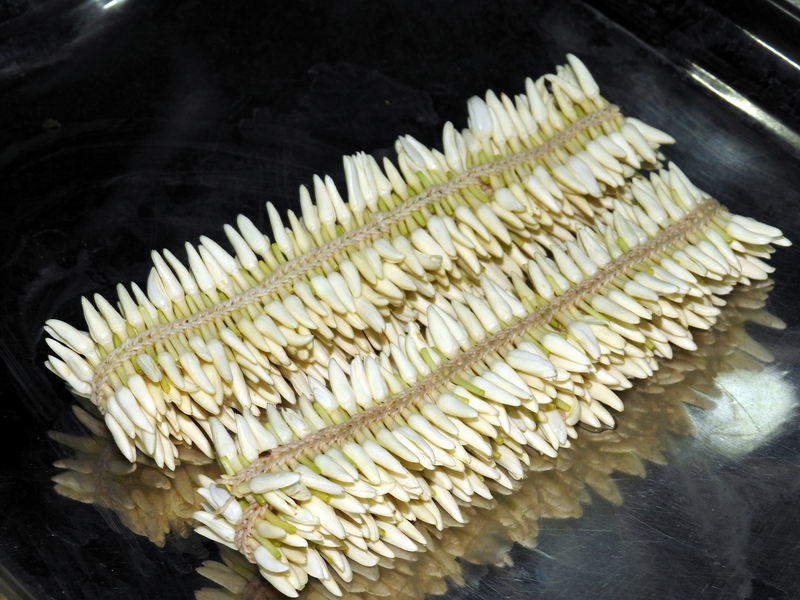 The ‘queen’ of flowers, however of this region is the unique variety of delicate, slender and elongated jasmine that are strung in the most exquisite fashion you could ever find. These gorgeous smelling flowers are in fact a “precious” commodity whose prices are regulated and tightly controlled. On inquiring further, I learnt that these flowers are actually grown in a tiny village called Shankarapura (also spelt Shankerpura) about 10 km from the temple town of Udupi. Home to a large Christian community, this quaint village is the central place where these ‘valued’ and almost ‘treasured’ flowers are grown. 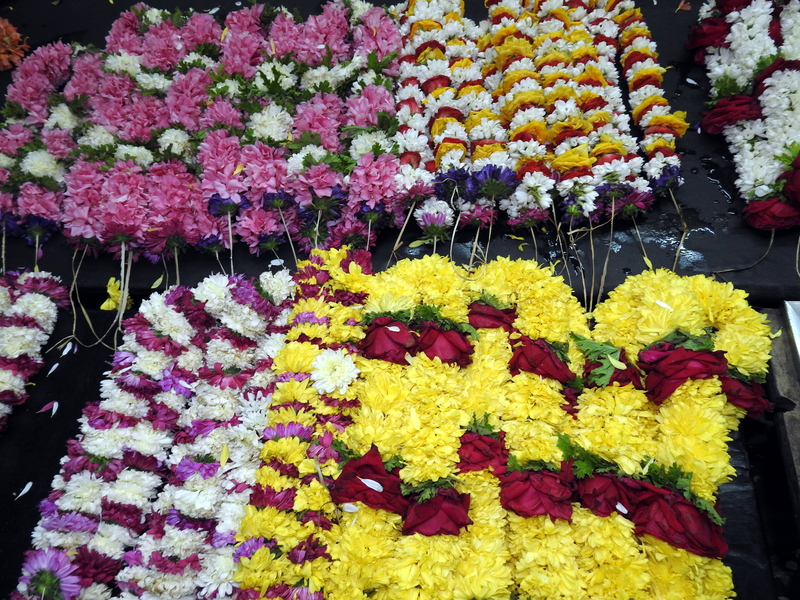 The flowers are in fact transported to Mumbai and even Dubai on a daily basis. Carefully grouped into what is called an “atta” locally and sold as such, these flowers are literally worth their weight in gold! The rate for the flowers is fixed by the merchants everyday and is based on the demand and supply each day. The rate could vary from Rs. 250 to even Rs. 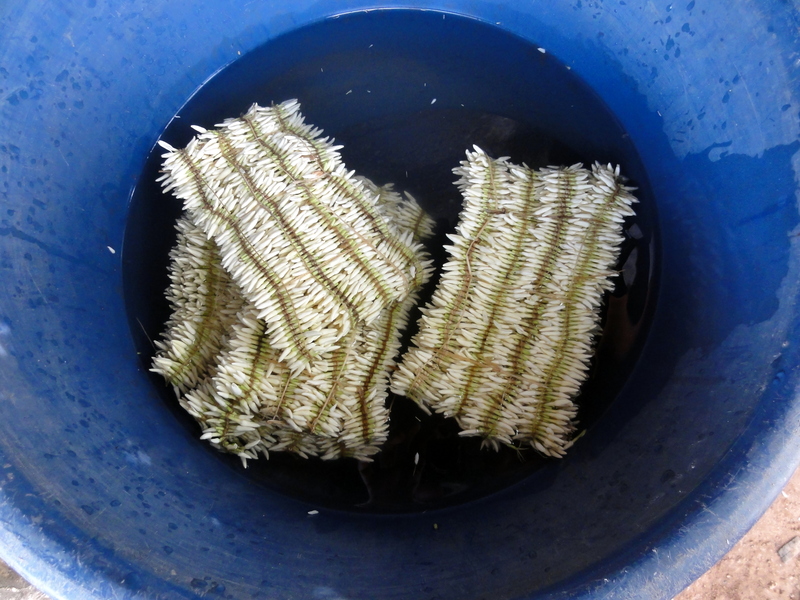 2200 for an ‘atta‘ depending on the demand which is especially high during the season of festivals and weddings. 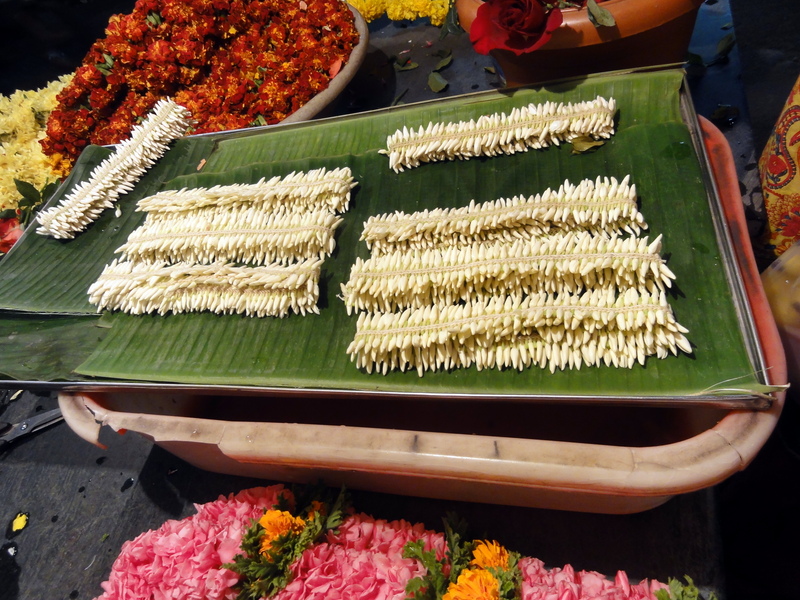 The flowers are preserved in water and gingerly wrapped in banana leaves to retain their freshness. I did happen to visit Shankerpura while passing through Udupi. 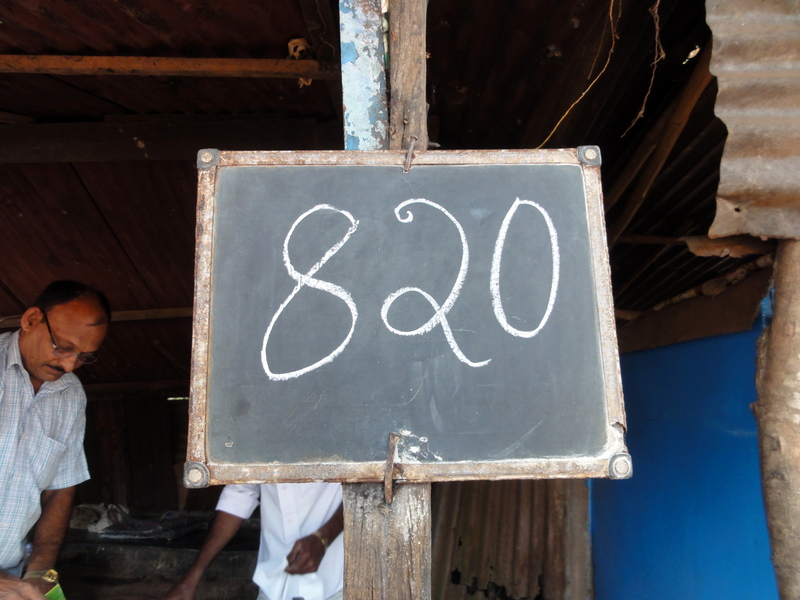 It is a common sight there to see the vendors display the daily rate prominently on a board, just so you know that there is absolutely no scope of any bargain! I witnessed few locals coming in for the flowers and was quite surprised to note that the sales were brisk with “no questions asked” about the price. It was, of course, obvious that the day’s stock sell like hot cakes and is exhausted within a few hours! Next Post Rosary Church, Shettihalli: a journey back in time. How interesting, the flowers look beautiful and the fragrance must be equally nice, too. Interesting how the price fluctuates so much, I know flowers here can be more expensive at Easter, Mothers Day, etc. but then it’s only a slight increase. Yes Marion; these flowers are truly cherished and since they are grown only in a particular region, the demand is much higher than supply. So during the peak seasons, the prices skyrocket! Beautiful. I was there few years ago. Thanks for sharing. Thank you Jyothi:) U from Mangalore? Beautiful pics Rashmi! A grand display of flowers and you have captured them really well. Thanks so much Arun! The market is really colorful.. These are like treat to eyes! Wonderful captures! I wish I knew the art of tying delicate flowers. i must say—its a very colorful post, all the pics are very good but the 5th,6th and 7th pic is so eye soothing. Beautiful pictures – so exotic and colourful! 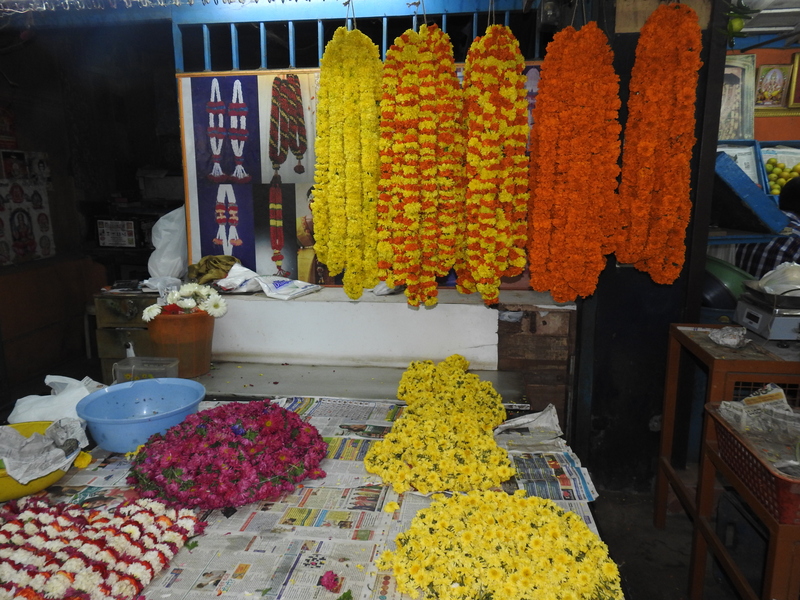 Yes Joy; flower markets in India are truly colorful! Thanks Divya! You from Karnataka?? Yes Rashmi…From Bangalore 🙂 What about you? Yes Rashmi …from Bangalore:)… What about you?